This page contains pictures and information about Emerald Moths and Caterpillars in subfamily Geometrinae that we found in the Brisbane area, Queensland, Australia. Caterpillar of Hypodoxa sp., a typical Geometrinae looper. 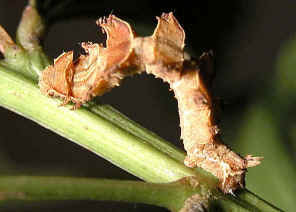 The mature caterpillars in this subfamily have only one pair of ventral prolegs. They move forwards only in the looper fashion. 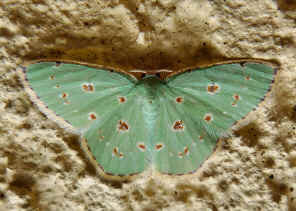 Adult Emerald Moths fly weakly at night. There are two group in this subfamily. 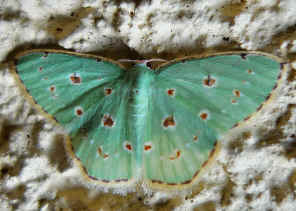 The first group, include the Anisozyga sp., they are slender body and usually green in colour, hence the common name Emeralds. Others group are grey in colour with stout body. 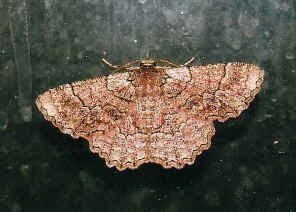 All of them depend on their cryptic coloration or pattern for protection. 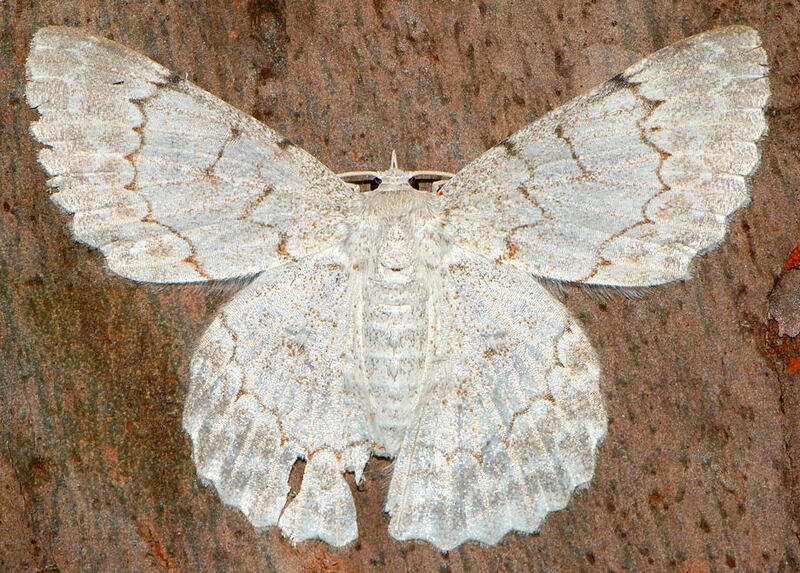 They rest with their wings fully outspread and their wing patterns matched closely to the background. 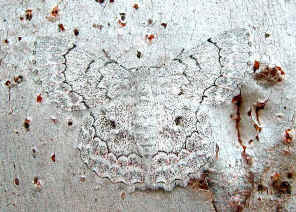 The moths have camouflaged wing patterns. 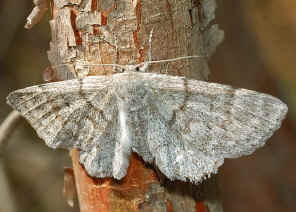 When they rest on tree bark, they are hardly been seen. These patterns are wavy lines extend across both fore and hind wings. 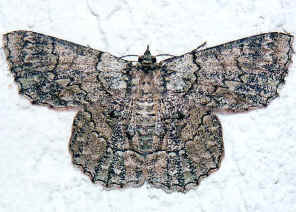 Unlike other species, this moth rests with front wings up forward, separated with the hind wings. For more information and pictures please click on here. The about 1st pictures taken in mid-winter, the moth rest on our window glass in a cool night. 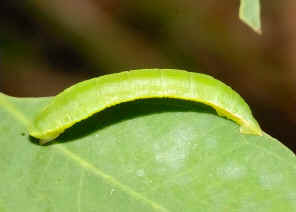 Their caterpillar is green in colour resemble plants stem. Most information and pictures in this page. Photos were taken on Sep 2010 in Ford Road Conservation Area. It was resting near the base on a large gumtree trunk. Please check this page for more information. Pictures taken on Nov 2007 in Karawatha Forest. 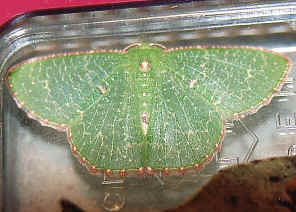 The bottom size of the moth is more interesting. There are the red and black patterns. More infromation and pictures can be found here. We found this caterpillar on early summer. This caterpillar camouflages as part of the stem. We only know it was a looper caterpillar when it start to walk away. 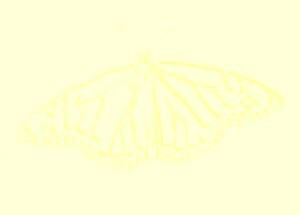 The caterpillar is brown in colour. It body surface is covered with small hard round bumps. 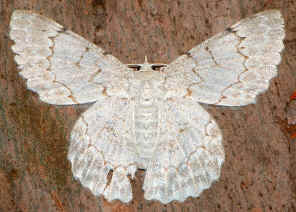 The adult moth is basically green, with lacy white spots on the wings. More pictures and information please find in this page. 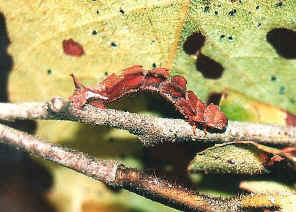 The small caterpillar was found on a Acacia leaf. 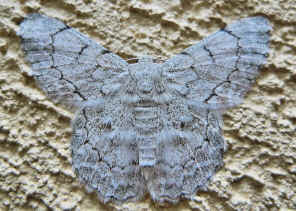 The picture show a female Bizarre Lopper Moth. 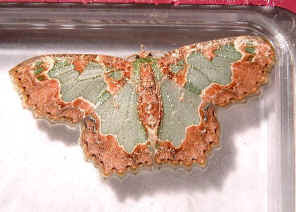 It is green in colour with brown wing edges. 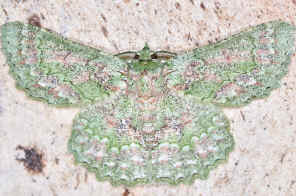 The male moth is green and white in colour, look quit different. More pictures and information please click on here. 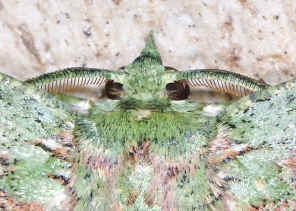 The moth is green in colour with red dots on each wings. Photos were taken on Apr 2010 on the wall outside my office. It was attracted to the wall by the fluorescent lamp there. Please check this page for more information. 1. 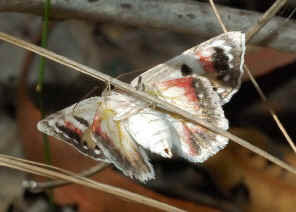 Moths of Australia - I. F. B. Common, Melbourne University Press, 1990, p371. 2. A Guide to Australian Moths - Paul Zborowski, Ted Edwards, CSIRO PUBLISHING, 2007, p137. 4. GEOMETRINAE in Australia - Don Herbison-Evans & Stella Crossley, 2011. Last updated: August 30, 2011.